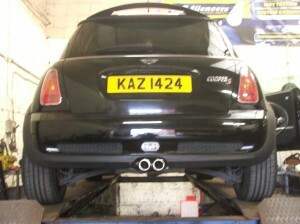 We’ve done a few Mini’s recently, I suppose they must be of an age where the exhausts are starting to wear out. These supercharged Mini exhausts can be eye wateringly expensive and it turns out it’s cheaper to build a life time guaranteed stainless steel exhaust than buy a standard replacement. The last few we’ve done have been in a larger bore and with better boxes for improved performance. 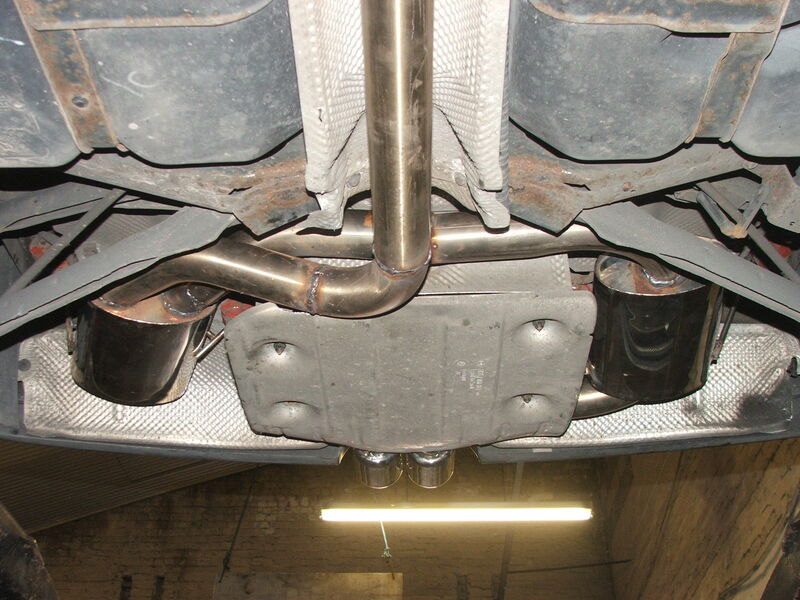 The exhaust gives off a purposeful growl but is remarkably quiet for a free flowing exhaust on a supercharged car. It’s the perfect solution when the time comes for a replacement. This entry was posted on Friday, October 5th, 2012 at 5:45 pm	and is filed under Exhausts. You can follow any responses to this entry through the RSS 2.0 feed. Both comments and pings are currently closed.